BlackBerry Essex to bring WiFi on Tour? 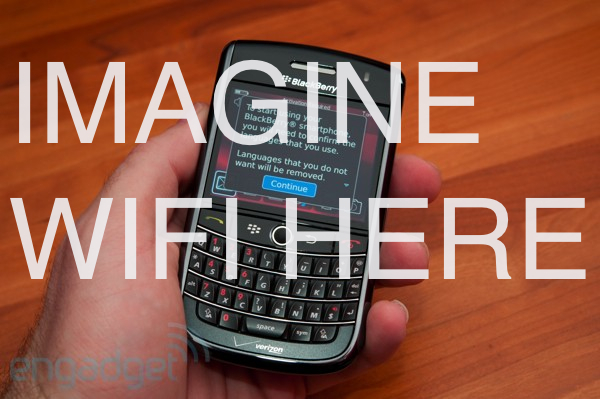 We're starting to get the feeling they just didn't know about WiFi in Waterloo until now, because almost every BlackBerry hardware rumor we're hearing lately is all about how RIM's adding the wireless networking spec and everyone's oh-so-happy. Case in point: today we've got word of a new BlackBerry Essex, which is essentially... the Tour with WiFi. Seriously, that's the whole rumor, and we're guessing it has something to do with Sprint mandating WiFi on all of its future handsets, so it's not even particularly wild. Don't get us wrong here, we're glad to have WiFi -- it's extremely nice on the Bold, and it certainly improves battery life -- but considering the sorry state of the BlackBerry browser and the continued lack of real IMAP on the BlackBerry platform, we're just wondering when BlackBerry fans will have some real changes to get excited about. BlackBerry Essex to bring WiFi on Tour? originally appeared on Engadget Mobile on Mon, 31 Aug 2009 17:23:00 EST. Please see our terms for use of feeds.